Nowadays, with the defeat of the so called “Islamic State” (IS) on the ground in Syria, the geopolitics of the Syrian Kurds is discussed more than ever. To be precise, we should speak of the Syrian Democratic Forces (SDF) and of the political structure “Democratic Federation of Northern Syria” (DFNS) of which Rojava (West/Syrian Kurdistan) is a part. What is of interest for this article is the criticism by some (or many) leftists against the military cooperation with the USA. However, speaking only of the U.S. would be too limiting, since in this particular conflict Russia, Turkey and Iran are also closely involved. The geopolitics of the Syrian Kurds can be understood only in connection with the democratic-leftist Kurdish Freedom Movement (KFM). Starting with the Kurdistan Worker’s Party (PKK) in North Kurdistan (Bakur; Turkish part) in the 1970s, it spread to Rojava and East Kurdistan (Rojhilat; Iranian part) in the 1990s. When in 2003 the Party of Democratic Union (PYD) was founded, it accepted Öcalan’s political concept of Democratic Confederalism as basis. Due to the intensive repression by the Baath regime, the space remained small, but the organization of the population never ceased to exist. In 2011, when the uprising against the Syrian regime started, the PYD saw its interest in benefitting from the weakness of the regime in order to organize people democratically in Rojava and the big cities of Syria. In the first months, the aim was to develop the self defense capacity as it was difficult to foresee further developments against the Baath regime as well as against the armed reactionary opposition. In the following months the revolutionary movement had been organized as TEV-DEM which apart from PYD included dozens of social organizations and people from the growing people’s councils all over Rojava. The Barzani-linked ENKS, the conservative Kurdish party bloc in Rojava, remained weak while TEV-DEM became the main player in Rojava. In the spring of 2012, when it was clear that the war is intensifying, the preparation for the liberation of Rojava started. The movement needed to be ready for the right moment. TEV-DEM was faced with two basic decisions: either Rojava will be defended by its own forces or it had to be given up. The second outcome would mean that other forces like the ENKS and/or the reactionary Syrian opposition would control Rojava. Rojava was more difficult to defend than other parts of Kurdistan. On the level of terrain, the area is mainly flat and spread out. Furthermore, many international and regional powers had armed many warring forces in Syria. 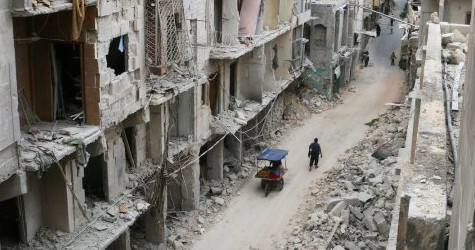 The unarmed democratic groups in Syria and the TEV-DEM, on the other hand, had no support from abroad. TEV-DEM had declared it a duty to defend Rojava, otherwise it would be a great setback for the KFM in all parts of Kurdistan. The point was to defend this revolution and to learn lessons from former revolutions in the world. With the beginning of the successful liberation of Rojava’s towns in July 2012, the attacks against the area grew stronger. First, it was some FSA groups and Al-Nusra Front which could be defeated by the YPG (People’s Defense Units) and YPJ (Women’s Defense Units). Then came ISIS (later IS), and at first, from summer 2013 until May 2014, could be defeated as well. But with the occupation of Mosul, IS had grown so strong to challenge even state armies. The Baath regime also attacked Rojava at times, motivated by the Iranian regime. Currently the biggest threat to this region is the Turkish army which has been launching attacks since October 2015 almost daily at the borders and on the front lines. In fact, all of the regional and international powers had no interest in seeing an independent and democratic force in Syria become strong, this includes western states, which just ignored TEV-DEM, and Russia which met with TEV-DEM, but with no common goals. Even Turkey, Syria and Iran met with TEV-DEM politicians (later the Democratic Self-Administration (DSA) founded in January 2014 as a democratic enlargement), but with the sole aim to incorporate it into their own bloc. In the summer of 2014 IS was at the peak of its power. The world was shocked and considered it a new major threat. This was the case in the Middle East as well as in the rest of the world. This was also the time when forces of the KFM were resisting against IS in Şengal, the main settlement of the Kurdish Ezidis in Başur. In the beginning of August 2014 both the PKK and YPG/YPJ rescued up to 80.000 Ezidis and prevented a bigger genocide – it was not the “international community” that saved these people, but those who who were till then either considered “terrorists” or ignored. From that moment, the perception of the Kurds in general, particularly of Rojava and the PKK started to change. A U.S. led global coalition against IS was formed, at first focused only on Iraq. Then, the large IS attack on Kobanî happened in September 2014. The Kurds resisted with whatever they had. Tens of thousands of people in Bakur gathered continuously at the border to Kobanî in order to show solidarity and protest the Turkish state’s support for IS. Around a thousand crossed the border to fight the IS. Because of the global IS threat and the successful resistance in Şengal the international media were also present at the border. Never before did the Kurds get so much attention. They were recognized not only as suffering, but rather as resisting. Kobanî was now well known and well seen worldwide. The resistance was strong, but it was not enough in the face of IS. 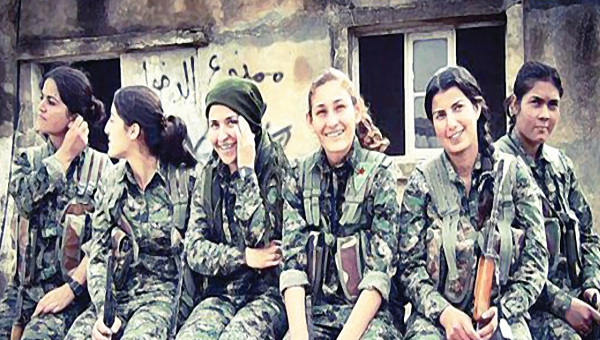 Because of the Turkish embargo, the YPG/YPJ from Cizîre, the biggest region in Rojava, could not join the resistance. If that was not the case, there would have been a balance of forces and international support would not have been necessary. 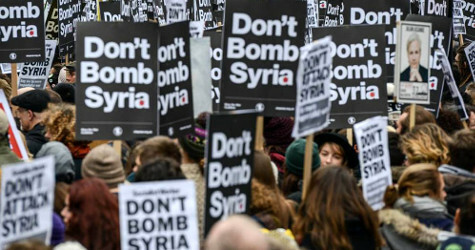 During the first days of October 2014 the U.S. publicly declared that it could see no hope, even if it was already bombing IS in parts of Syria. A few days later, the U.S. started to bomb IS systematically in and around Kobanî city. The resistance in Kobanî, a big uprising in Bakur/Turkey and the global public request for Kobanî support were the main driving factors for that. This intervention in Kobanî started under specific political conditions and it was not clear how long it will last. Only after that, did serious negotiations happen. In the short-term, the main motivation for the U.S. was seeing that the defeat of IS in Kobanî would be very beneficial for their own strategy in Syria and Iraq. Indeed, Kobanî became IS’ Stalingrad. 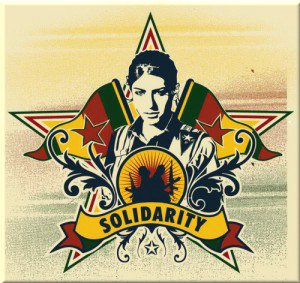 For the revolution of Rojava the defense of Kobanî was crucial, otherwise it could be marginalized in Syria. This is how two forces opposed ideologically ended up having the same short term interests. 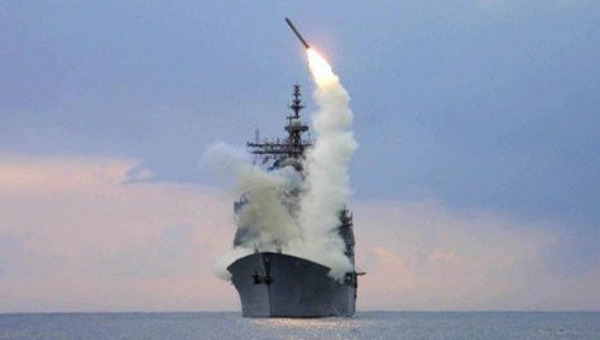 The bombing of IS gave the U.S. a strong partner in Syria. This comes after the U.S. along with Turkey and some of the Gulf states had been supporting armed opposition groups. These groups however, were unable to overthrow the regime and were becoming weaker, or becoming more and more extreme in their Islamic ideology. Furthermore, these groups were less committed to their western sponsors and more to Turkey and the Gulf sponsors, which the U.S. saw with suspicion. This is why a cooperation with the YPG/YPJ promised to give the U.S. more influence in Syria and having an active role in designing a new Syria. In the beginning of the military cooperation the USA planned to subordinate Rojava militarily to the government of Başur. The notes of the talks on March 14, 2015 between several HDP (People’s Democratic Party) parliamentarians and the imprisoned PKK leader Abdullah Öcalan, state that the U.S. exercised pressure on the YPG/YPJ to accept to be part of the PDK-Peshmerga commando structure, and that Öcalan took position against that. This did not happen, but the cooperation continued. There are certainly other long-term motivations for the U.S. to start the military cooperation with YPG/YPJ/SDF. One is to come back to the Middle East political scene and appear as a positive force after the occupation of Iraq and Afghanistan which turned the U.S. into an unwanted force in almost all Muslim majority countries. This military engagement also served to limit the influence of Iran in Iraq which increased especially in the years until 2014. This became yet more important after Donald Trump was elected U.S. president. Another reason is pressuring the Turkish government which has been moving away from its western allies in recent years. Turkey has been trying to benefit from the conflicts between different powers, particularly the USA and Russia to increase its influence in the Middle East. The support for Al Nusra and IS was part of this strategy while bypassing the embargo on Iran. For several years, NATO has looked at these actions with suspicion. Turkey’s main concern in its international policies are the Kurds. Furthermore, the U.S. has actively supported the big parties PDK and YNK (PUK) in Başur since 1991 which led to a status of autonomy. There were expectations, among others, that the two parties would dominate the three other parts of Kurdistan and push back the KFM. But they failed. Instead, their corruption pushed Başur into a big economic and political crisis. Also, the PDK has been influenced by Turkey’s policies, especially by the sale of oil through Turkish pipelines. Öcalan’s vision, on the other hand, is an inspiration for a new inclusive and democratic approach. Democratic Confederalism is the most powerful democratic concept in the Middle East. Millions of people in Bakur and Rojava had the possibility of experiencing it. Successful coalitions for democracy are formed with Turks, Arabs, Assyrians and others. The U.S. wants to instrumentalize the KFM for its own interests either by taming the whole KFM or by disconnecting Rojava from the rest of the KFM. This could be done by offering more military support and international political support in exchange for promises of a strong political status within Syria if the DFNS would distance itself from Öcalan, and reject the KFM in Bakur (and the PKK), while giving more space to the PDK of Barzani and the YNK. However, since the beginning of the military cooperation in October 2014, there has not been much change in the balance of power and dependency between the two. It would be much harder for the SDF to defend its territory without American military cooperation. The DFNS would be more vulnerable to attacks from Turkey and the Syrian regime, now that IS is no longer an existential threat. Now the SDF have much more fighters, technical capacities, motivations and thus a higher defense capacity, even if they had been defending their territory before U.S. support. The DFNS has important relations with Russia too, since 2012. Russia has multiple interests in this relationship, including that the SDF not deepen its military cooperation with the USA. For Russia this limited cooperation with the SDF can be used against Turkey, and the same goes for the USA. While Turkey wanted to overthrow the Baath regime in the first years of the Syrian uprising, since 2016 it focuses almost only on limiting the growing power of the new democratic project in Rojava/Northern Syria. This approach of the Turkish government gives Russia the opportunity to play on the Turkish fears. Having strong political-economic-military relations with Turkey, Russia allowed the Turkish army to invade the triangle region between Jarablus, Al-Bab and Azaz in Northern Syria, in return Turkey cut the support for armed groups in Aleppo. This invasion disconnected Kobanî and Afrîn. And with the Turkish army in Syria, Russia can exercise pressure on the SDF. This is the case especially around Afrîn, the site of the Turkish assault and where Russia has observation points it uses against both Turkey and SDF. Russia has also been trying to seek an agreement between the growing DFNS and the Baath regime. The DFNS have repeatedly declared that they seek a strategic agreement with the Syrian regime which would make Syria democratic and federal. It has become public that the two sides have met several times. In these meetings, the Syrian regime was only ready to accept cultural rights for Kurds and a strengthening of municipalities, while the DFNS insisted that the reality of a broad democracy in Northern Syria and a basic democratization of Syria as a whole will be accepted. However, at the end of October 2017 the Syrian Foreign Minister, Walid Muallim, said that negotiations about autonomy for the Kurdish regions can be discussed, a surprising development. But this is a dangerous and unacceptable proposal because it would divide the Kurdish and Arabic regions. Here the DFNS is in a more advantageous situation and continues to insist to be accepted by the Baath regime as a federal region. The DFNS considers its relations with Russia beneficial in several terms. One objective is to limit the attacks by the Turkish state against the SDF liberated territories. Another objective is to use Russia’s influence to pressure the Syrian regime to negotiate a democratic solution and include the DFNS in the international negotiations to end the armed conflict in Syria. The third objective is not to deepen the relations with the U.S. and benefit from the conflicting interests of the two international and regional powers. However, both states have in their international policies the interest to stay in contact or even to develop ties with the Kurds which now includes also the KFM – even if it is tactical. The military cooperation has often been characterized by tensions. One big controversial discussion was over Minbiç (Manbij) which the SDF wanted liberated while the USA focused on Raqqa. The SDF launched its operation in Minbiç anyway without American support, and was already in the outskirts of the city when the U.S. gave support to the operation, and finally achieving its goal on August 12, 2016. This case shows that the cooperation between the SDF and the U.S. is not one-sided. When at the end of August 2016, the Turkish army moved to occupy Jarablus, the SDF tried to reach the city and strike back at the Turkish army by pushing out IS from the south. Although the Turkish army suffered losses, it could take over Jarablus city while IS retreated within one day without fighting. Several days later a de facto ceasefire between the SDF and the Turkish army was negotiated by the Americans and came into effect. But with the American support of the Turkish invasion, the coordination between the SDF and the U.S. fell into crisis for several weeks. Nonetheless, the SDF was able to resist quite successfully against the moving Turkish troops around Al-Bab. The fight only ended when Russia and the U.S. sent soldiers to the front around Minbic. The number of U.S. soldiers in Northern Syria should not be exaggerated as they are not fighting on the ground, except in Raqqa city. They are however involved in training and coordination of arriving military equipment. One month before the liberation of Raqqa, the SDF started the “Cizîre storm” operation to liberate the whole region east of the Euphrates river in the Deir Ez-Zor province. The SDF commanders stated that they were going to carry the operation even if the Americans were opposed to it because it was urgent: the Syrian army was progressing quickly toward Deir Ez-Zor city. The operation was successful. Although there is military cooperation between the SDF and the U.S. led Global Anti-IS Coalition, it is not possible to speak about a political cooperation. The U.S. makes a clear distinction between the political and military dimension and have not insisted that the DFNS is part of the Geneva negotiations. Although the U.S. government refused public accusations by Turkey that the YPG are terrorists using American weapons that will eventually fall in the hands of the PKK, it has never said anything positive in public about the political process in Rojava/Northern Syria. Until now, no leading figure from the DFNS or SDF has been allowed to visit the USA. Although the military relationship with Russia is much less developed than with the U.S., politically Russia gave more direct and positive statements about the Syrian Kurds and the DFNS. For example in the beginning of 2017 Russia prepared a draft for a new constitution which included that Kurds should be involved in the international negotiations. Just recently Russia announced a “people’s congress of Syria” to which the PYD/Kurds would be invited. The KFM says that what is happening in the Middle East is the Third World War with Syria at the very center, and there are three main forces: first is international imperialism represented mainly by the USA and Russia; second is the regional status quo powers with Turkey, Iran and Saudi Arabia as the main players with imperialist characteristics; and third is the revolutionary and democratic forces led by the Rojava Revolution and the PKK. These three forces are fighting among one another and the result is complicated with continuously changing coalitions and armed conflicts. Each force develops relations with those who seem to be opposed to the enemy, in order to achieve their strategic interests. This is related to the deep and structural crisis of capitalism experienced violently in the Middle East. It is not enough to have an ideological and political approach as many leftist and socialist organizations do, rather an organizational and military approach is crucial. Without being dogmatic, it is necessary to fight against threats, but also to be able to restructure one’s organization according to the conditions and to understand the dynamics and contradictions of other players in order to be able to benefit from them. The goal must be to defend the gains and build a strong self-organized society wherever it is possible to strengthen one’s own power. The creation of zones of freedom is not only possible with friendly forces. A dogmatic position will lead to the defeat, so each step needs to be calculated well, particularly for the Kurds who have been colonized by four nation-states. Because the KFM acts on this approach since its foundation, it could achieve the current level of strength. The stakes are high: either the forces of imperialism and capitalism win, or a new space for freedom is forged for humanity in the region, and this is why international and regional powers are fighting so violently to preserve the status quo. Irrespective of all developments and discussions it is important to see how the military cooperation with the U.S. affects the society of Rojava. There are two main questions. First, how do political activists and the population consider this military cooperation. And whether and how the economic-political-cultural structures have experienced any changes through this cooperation. Between February and March 2017, I held around 50 interviews with political activists and people from different administrative bodies on their political work and the political-social situation. Apart from one person, no one regarded the military cooperation without any concerns. The interviewees said mostly that this cooperation has come up because of difficult conditions – particularly in Kobanî – and numerous enemies, but does not include a political dimension. For them the U.S. is cooperating for its own interests and the cooperation is a tactical one. There was a clear awareness that the revolution should not rely on this military cooperation which could end at any time, but should try to benefit from it. The same goes for Russia. These were important answers based on a critical perception and far-sightedness. Activists continue to develop and deepen their political work and insist on a strongly self-organized society. I observed that in Rojava a self-organized and self-sufficient society includes more and stronger communes, people’s councils and other political structures, a communal economy which produces its own needs as much as possible, an independent education and health system and self-defense in all neighborhoods, communes and villages. This approach is connected to a 40 year experience of the KFM which never depended on any other political power. In the general political discussions, the military cooperation with the U.S. was seldom a subject. Like other political and social structures, the press of Rojava does not put the military cooperation in the center of the news. Rather the focus is on the political project of democratic federalism/autonomy, defense, liberation, the building of new structures in society and public demonstrations. I met few people who expressed a big expectation from the USA. The silence of the USA/NATO states when the Iraqi Army attacked Kirkuk after the referendum in Başur in September 25, 2017 has confirmed that a critical approach is crucial. The efforts to build up communes everywhere never ceased after the start of the military cooperation with the USA; rather the number of communes doubled. Also the creation of cooperatives continued; today there are a few hundred cooperatives. The democratic-communal economy continues to be developed. The anti-capitalist mentality was stronger in 2017 than in 2014 when I traveled for the first time to Rojava. In discussions with YPG and YPJ members there was not much attached value on the relations with the USA: it certainly provided more military equipment, but the human is always the strongest weapon in a war. A member of the YPG, who is in direct relations with commanders in all areas, told me that the U.S. military never tried to impose anything directly or tried to intervene in the political-social-economic model or life because they are aware that the SDF and DFNS would never accept any kind of intervention in their internal policies. He also emphasized that they are prepared for an end of the military cooperation with the U.S. Army at any time. According to him the cooperation has some serious advantages, but also has risks. Particularly to get used to the U.S. support over time is a risk which needs to be discussed permanently, thus the YPG has to take measures. Another challenge is that because of the U.S. presence within Syria the disputes with the Syrian regime should not end up in a big war because the DFNS wants to come to a mutual and respectful agreement with the Ba’ath regime. I spoke to dozens of international volunteers who are still coming to join the Rojava revolution, mainly from Europe or North America. Most had a positive position on the development in Northern Syria and wanted to stay longer and learn how people organize themselves, discuss and share what they have. The many internationalists do not consider the military cooperation between SDF and USA as an obstacle for their engagement in Northern Syria. There are at least several hundred internationalists, not counting the Arabs, Turks and other people of the Middle East. This fact should be considered when people only see the cooperation with the U.S. and neglect all the other deep revolutionary and social developments in Northern Syria. But if the U.S. ends the military cooperation without any peace agreement for Syria, the SDF controlled territory would be more vulnerable to big military attacks from the Turkish army and the Syrian regime. This would mean a new intensification of the whole Syrian conflict with an unclear outcome. Furthermore, the continuing cooperation could develop over time into a dependency of the DFNS/SDF on the U.S. due to deteriorating conditions in Northern Syria. The risks of the military cooperation with the U.S. are debated openly. And the population understands the positive and negative sides which creates a sort of immunity against dependency. Another mechanism against dependency is to benefit from the contradictions between all powers involved in the Syrian war. For instance by maintaining relations with Russia which is interested to have relations with the Kurds in Syria and Iraq for its own long-term interests. For the KFM it was possible to survive within the Syrian war thanks to the “revolutionary diplomacy,” while developing a new political model, first in Rojava and then in other parts of Northern Syria. The revolutionary diplomacy includes permanent evaluation in order to see upcoming risks as well as initiatives to be active in these political and military cooperations. Another important mechanism – of course also a principle – is to develop the international solidarity with the revolution of Rojava and in general with the KFM, for instance with the internationalists who would transfer the revolution to their countries, or the continuous political work on international level. The resistance in Kobanî has created a solidarity movement worldwide, but it is not strong enough. International solidarity should not be underestimated as anti-revolutionary forces lobby against the revolution at all stages. Only a strong international solidarity – also in the Middle East – with this revolution will make the revolutionaries less dependent on military cooperations with the USA. This article first published by opendemocracy.net. Ercan Ayboga has worked in the town administration of Diyarbakir (Amed) and was co-coordinator of International Relations and heritage sites, including the urban Tigris River project. At the same time is active in the Mesopotamian Ecology Movement, based in Turkish-Kurdistan. 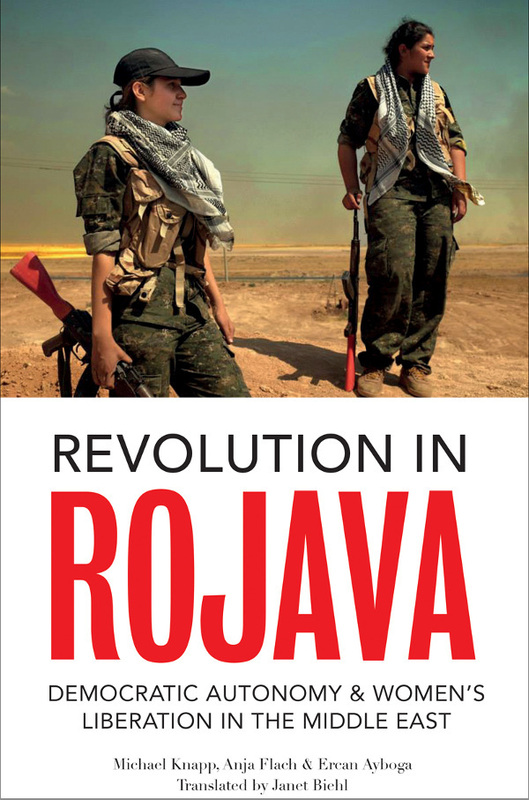 He is a co-author of Revolution in Rojava: Democratic Autonomy and Women’s Liberation in the Syrian Kurdistan (Pluto Press, 2016).